Every executive wants to see the top Key Performance Indicators (KPIs) on a regular reporting cadence. However, when major changes happen in your KPIs, you need to be able to explain what happened, what it means, and what you are going to improve. The factors influencing your key performance indicator to the left are a few that I picked as an example. Increases or decreases in your purchase funnels will highly affect your KPIs. The factors I chose on the left are a guess, but there is a way to find exactly what is affecting your KPIs through diagnostic metrics. Your analyst needs to find direct relationships between variables (influencing diagnostic metrics) and your KPI (response variable). There can be literally hundreds of variables that influence your KPIs, how do you find the ones that matter? This is where your Data Mining team proves their value. Data miners create diagnostic reports through a process called Exploratory Data Analysis. In this process graphs are created to view relationships. Correlations are run to highlight variables with strong correlations to your response variable. Variable selection processes are run to choose the hand full of variables that strongly influence your KPI. When EDA and Diagnostic Metrics are complete, your team is able to find the statistically significant variables that affect your KPI. Then, during reporting it is easy for your reporting analysts to go and look at the few metrics that matter that influenced your Key Performance Indicator during that period, create hypothesis, and find ways to improve your website. In the long run, this process will save your team time in finding what is causing your Key Performance Indicators to change. 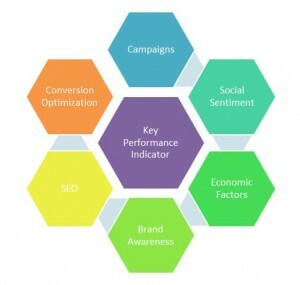 However, each KPI will have it’s own set of influencing diagnostic metrics. Quality analytics comes from capturing the KPIs and the diagnostic metrics that have direct statistical relationships. Not knowing these relationships, your analytics team could be spinning their wheels for a long time looking at the hundreds of variables that influence your KPIs. 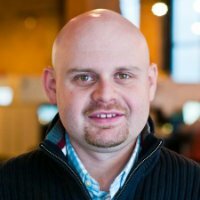 Other tips on Google Analytics Segmentation for eCommerce, and how to become a great web analyst. As always, feel free to contact us if you are interested in conducting this analysis on a contractual basis.